Did you know that most, if not all large, well-established consulting firms already invest in case studies? Take a look at the website of any of the big names, and you will likely find a dozen or more case studies illustrating how they’ve helped their customers. Boston Consulting Group has over 950 publications on their website. Case studies are not just for the large companies. Many smaller consulting businesses offer them as well. The simple answer is that they work. Case studies can be a cost-effective and successful way of selling your services, in any industry or profession. When you’re offering a complex service such as consulting, they become even more important. I will share with you three reasons why you need to invest in case studies to increase your sales. First, let’s briefly review the definition of a case study so that we’re all on the same page. The definition of a case study can vary slightly, depending on who you talk to. Format, content, length, and research methods can all differ across companies. However, generally speaking, a case study has one intent and four main parts. The intent of a case study is to describe the successful results of a previous client engagement in order to demonstrate the ability and competency of your company. An identification of the key issues and root causes. An analysis of the situation and available options. The solution implemented and the resulting benefits from that course of action. The type of case study I’ll talk about here is a published report, generally one to three pages in length. It is effectively a customer success story, but with more depth and analysis than a testimonial or customer-generated piece of content. Now that we’re clear about what a case study is, let’s look at why you should invest in them. Case studies carry a lot of credibility. They are one of the best marketing techniques you can choose for sharing your success stories and attracting new clients. 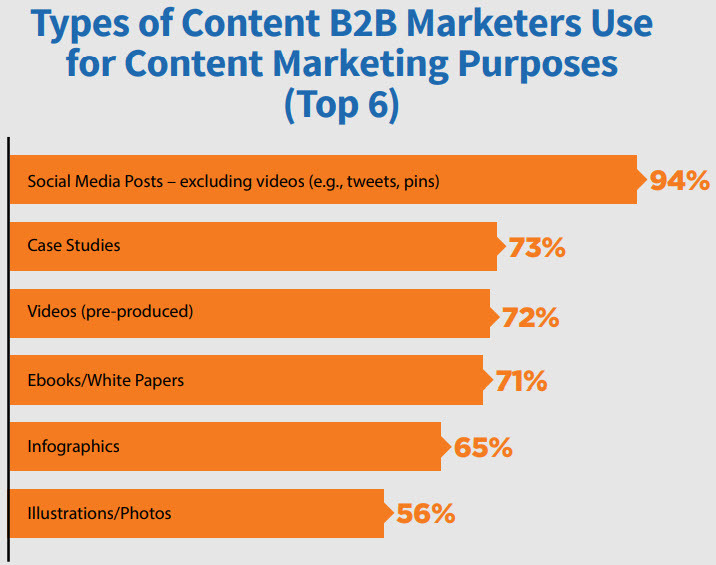 In fact, for B2B marketing, marketing professionals agree that it is the most effective type of content marketing. Therefore, it should be no surprise that 73% of B2B companies are already using case studies as part of their content marketing strategies. If you’re not yet one of them, here are three reasons you should start adopting them. One of the strengths of case studies is that they’re very specific. A case study focuses on one client, in one niche. Due to this targeted nature, it’s perfectly tailored to your ideal audience. Case studies are designed to resonate with your target market. This means that a well-developed case study will be relevant to your prospects. 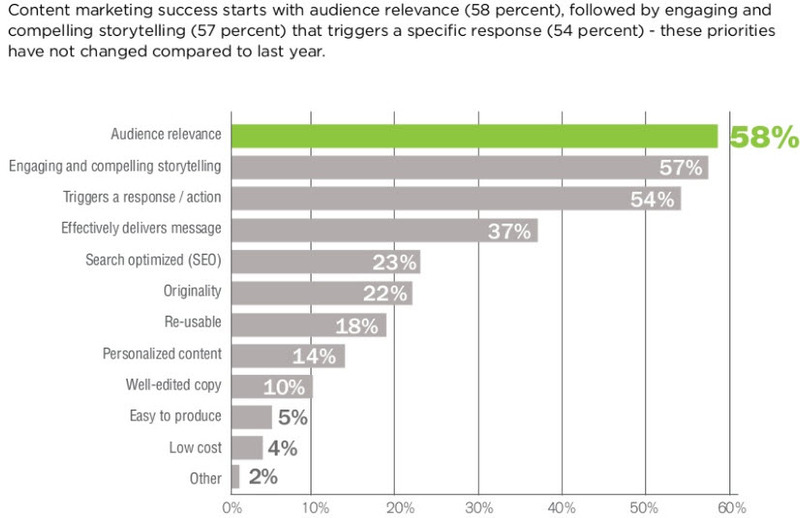 Relevance is the number one goal for content marketing. A strong case study includes all three of these. It also focuses on your company’s offerings and competitive advantage from the perspective of a customer. Focusing on how a customer made use of and benefitted from your services helps prospects see how you can directly benefit them. Potential leads will react well to this because they’ll want to get the same results as the case study example. 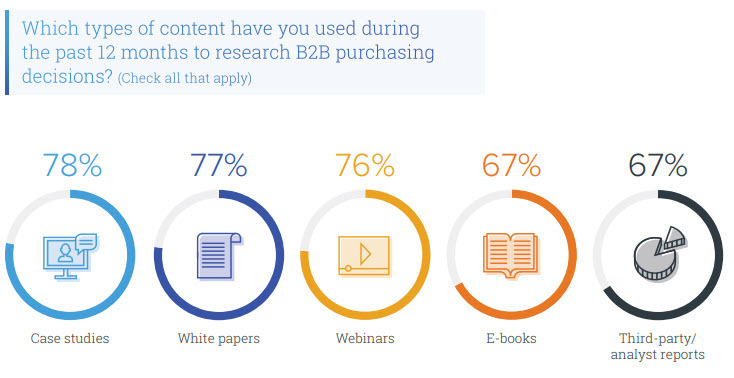 In fact, 97% of B2B buyers want to see content that clearly lays out a formula for success. Case studies are perfect for providing these specifics. The clearly state a problem, underlying issues, options, a solution, and results. Unlike general descriptions of your services, a case study provides a concrete example. For example, on your services page, you may state that you can implement project management practices and procedures that will allow your client’s next project to finish on time and within budget. That’s a generic statement that might not have a lot of weight behind it. On the other hand, you might have a case study demonstrating how you successfully completed Project X for Company Y, and it was one week ahead of schedule and 2% under budget. You can see which of those two descriptions will be more persuasive. In addition, case studies help illustrate exactly what your service offering is and how it can benefit a potential client. 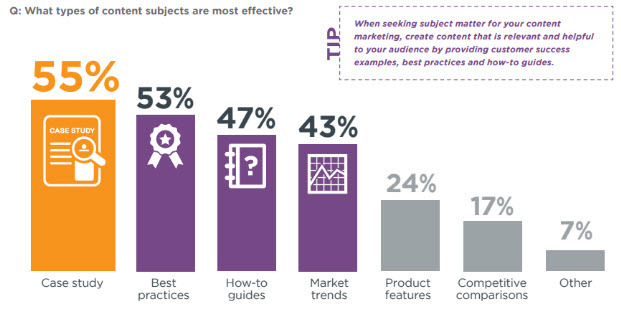 Therefore, it shouldn’t be a surprise that case studies are the most commonly used form of content for researching a B2B purchase. When you’re offering a complex, multi-faceted service such as strategic or management consulting, it can be difficult to explain what you do in a simple and concise way. If a company has never worked with an outside consultant before, they may not know what value you can truly provide. A case study illustrates some of your service offerings. As Ryan Holiday has said, “When do humans not want to see social proof? Case studies are sometimes referred to as long-form social proof. They leverage the belief that customers perceive long, in-depth reviews as being more reputable than brief excerpts. Therefore, a case study makes you more credible than a short testimonial or review. One of the ways they do this is by providing concrete examples of how customers have benefitted from your service. A case study can get the message across in a relatable, story format. In fact, research has shown that stories are one of the best ways to get people to grasp and remember what you’re explaining. Case studies allow you to tell stories about your brand. That’s why they are often more effective than brochures and other sales materials. There is no better way to tell your story than to capture the voice of your customer in a data-backed case study. 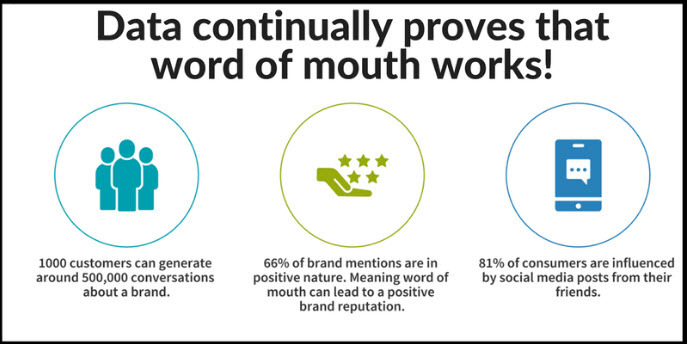 Case studies also act as a form of word of mouth marketing (WOMM). They provide a means of spreading positive customer reviews of your business. When it comes to marketing, customers care a lot more about what other people have to say about you than what you have to say about yourself. Recommendations, even from strangers, can have a significant impact on customers purchasing decisions. 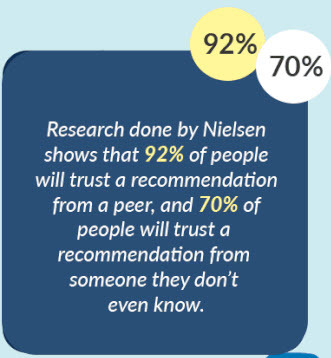 75% of people don’t believe company advertisements, but 90% trust suggestions from family and friends, and 70% trust recommendations from strangers. Case studies are also an opportunity for you to leverage the brand power of your customers. By showing the businesses that you’ve worked with, you get to show the companies that are willing to back you up and talk about what you do. If you can show that you’ve worked with well-known clients, it immediately gives your business more clout. For example, if you have Google as a satisfied customer, a case study demonstrating their positive experience will have a huge impact on converting future leads into clients. It allows you to tap into the power of Influencer marketing. 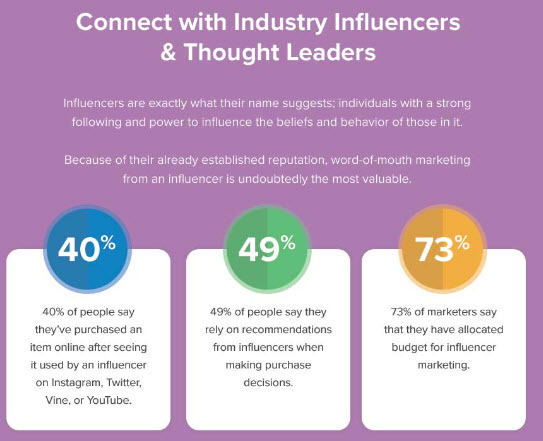 Influencer marketing content delivers a return on investment that is 11X greater than traditional forms of digital marketing. Compared to explainer videos and white papers, case studies are inexpensive. 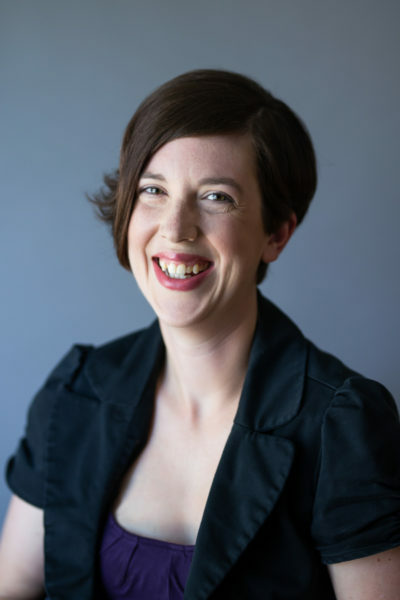 On average they can take between 10 to 20 hours to create and can cost between $1,000 to $2,000, depending on the writer you use and what needs to be included. If you have a small content marketing budget, you may still see this as a prohibitive expense. 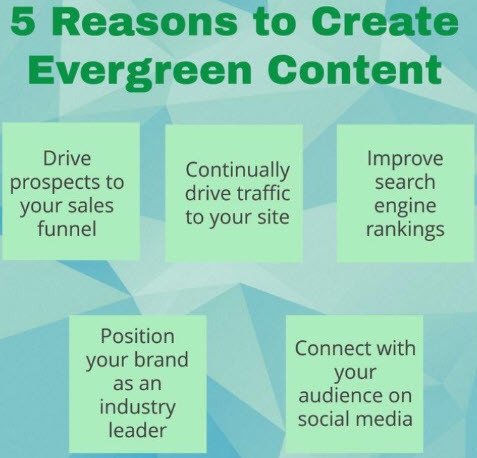 However, case studies are an excellent long-term investment because they are a type of evergreen content. Case studies will be relevant as long as your business is still providing the same services and targeting the same markets. In addition, case studies can be an excellent foundation for plenty of spinoff content pieces. These spinoffs, if properly created, will also be evergreen content. The possibilities for repurposing a strong case study is only limited by your creativity. You can use client quotes from the case study as testimonials. You can also turn a case study into a blog post, or make a video or audio version of the study. Once you have several related studies, you can include them in a newsletter, turn them into an e-book or use them as fodder for a white paper. Case studies can also be used to create social media posts and lead magnets. This ability to create multiple, valuable, long-term pieces from one published study is what makes case studies such a worthwhile investment. Case studies are a great way to demonstrate your strengths and unique selling points. You can use them to increase credibility and trust in your company and your brand. In addition, they’re a great way to provide social proof and build the image of your brand as one of integrity and authority. Once you have published case studies, you can also repurpose them into other social media and digital content such as podcasts, videos, and blog posts. Have you created any case studies for your business yet? Have they resulted in an increase in leads and clients?